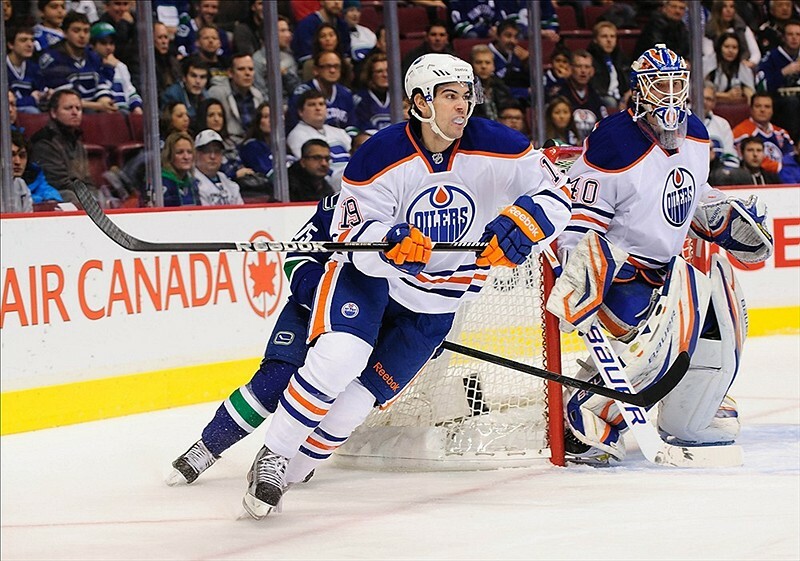 To say expectations of the Edmonton Oilers are high this coming NHL season would be a drastic understatement. Following an incredible roster overhaul by new General Manager Peter Chiarelli which included the acquisition of a potential starting goaltender, greater defensive depth and a potential star center in Connor McDavid, excitement surrounding the Oilers is undoubtedly at its greatest in the past decade. However, resulting from these great changes comes increased pressure not only on the team itself to succeed, but more particularly on given individuals, who now more than ever must prove their value on a roster abundant in internal competition. In particular, there are three Oilers players who, in 2015-16, will enter into quite possibly the most important NHL season of their young careers. All three of these players have different motivating factors, however for all, the coming season is of equal importance. 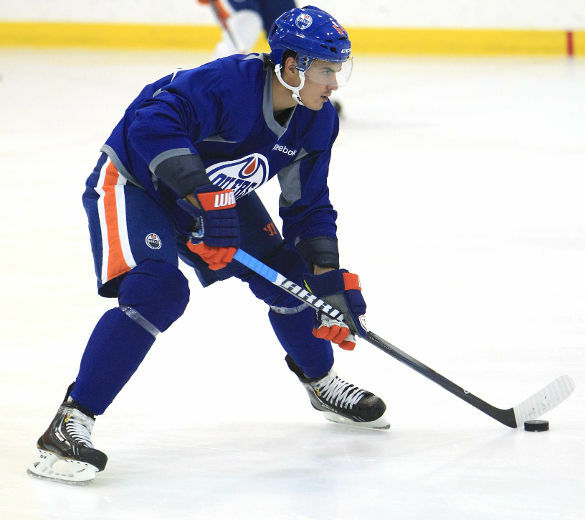 Drafted first overall by the Oilers in the 2012 NHL Entry Draft, Nail Yakupov has fought hard, but has thus far failed to grasp consistent success at the NHL level. Despite enjoying a solid 2013-13 rookie season in which he scored 17 goals and 31 points in 48 games, Yakupov’s offensive production has declined significantly and is no where near the level of a first overall selection. However, this past season, Yakupov was able to record a new career high in points with 33, yet much remains to be desired. One aspect of Yakupov’s game which can not be refuted is his terrific compete level as well as willingness to improve his game. 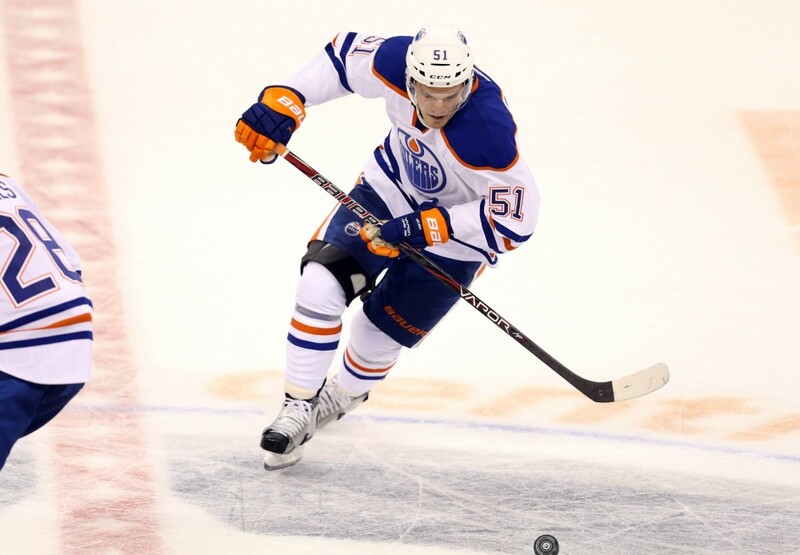 As Oilers fan witnessed throughout the 2014-15 season, Yakupov not only identified his defensive game as a major weakness, but then set out correct his mistakes, making significant improvements as the campaign progressed. In terms of his offensive production however, which is ultimately the most significant, Yakupov will could very well see tremendous improvement in 2015-16, thanks largely in part to his projected line-mates. Not only does Taylor Hall appear to be a fit on the Oilers second line, but so too does 2015 First Overall selection Connor McDavid, who will provide both Hall and Yakupov with an exponential increase in high percentage scoring chances. 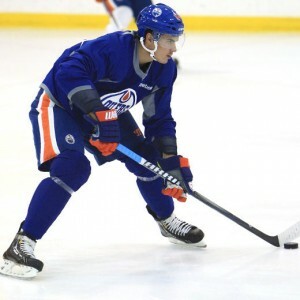 The Oilers signed Yakupov to a two-year, $5 contract extension in April, indicating their willingness to allow his game to further develop. 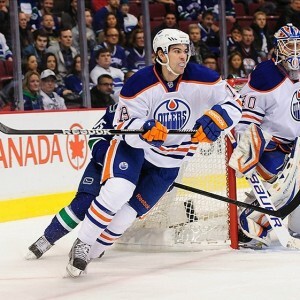 However, time could be running out for Yakupov if he is unable to live up to expectations. Fresh off signing a new contract and receiving incredibly talented line-mates, Yakupov must prove his worth to the Oilers come 2015-16 in order to avoid being labeled a draft bust. Selected by the Oilers 40th overall in the 2009 NHL Entry Draft, Anton Lander’s game has quietly progressed, and following a surprisingly strong season in 2014-15, Lander has become one of the Oilers’ most promising young players. At the age of 24, Lander has already played 132 NHL games, recording eight goals and 20 assists in those games. Although 28 points in 132 games is largely underwhelming, Lander was able to record six goals and 20 points over 38 games played this past season, both of which are were career highs. In terms of his value, Lander is one of the Oilers’ strongest two-way players who is not only great in his own end defensively, but can also produce offensively, as witnessed by his near point per game scoring record in his American Hockey League Career. In 2015-16, Lander appears set to ensure his role in the NHL as the Oilers full-time third line center. Alongside both Lauri Korpikoski and Teddy Purcell, who will undoubtedly provide greater offensive production, Lander can be expected to be a regular contributor in his first full NHL season. With a two-year, $1.975 Million contract in hand, the Oilers clearly see the potential in Lander’s game, and hope his play continues to progress as steadily as it did over the course of 2014-15. Unlike Yakupov however, the Oilers will be much more patient with Lander moving forward, who unlike Yakupov has shown steady improvement in his capabilities. As a college free agent, Justin Schultz captured the interest of multiple NHL clubs, who hoped they would be fortunate enough to land the offensively talented young defender. 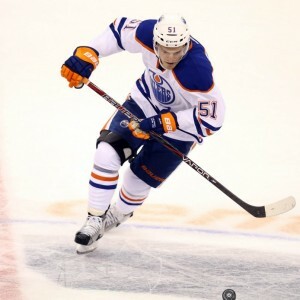 When the Oilers were announced as the fortunate club, they quickly locked up Schultz to a significant two-year, $7.55 Million contract in the summer of 2012. However, the first three seasons of Schultz’s career have since progressed in any direction but as planned. Despite remaining a persistent offensive threat, scoring 25 goals and 91 points over 203 career games, Schultz has been notoriously poor defensively, finishing amongst the worst in the NHL in terms of plus/minus over his first three seasons. Although his play has been inconsistent, the Oilers, after originally electing to file for salary arbitration, signed Schultz to a one-year contract extension worth $3.9 Million this past July. Well aware of his amazing potential, the Oilers ensured Schultz’s presence on the blue-line for an additional year, a place which is extremely important to the Oilers roster considering Schultz averaged an impressive 22:36 minutes of ice time per game last year. However, with the number of new additions to the Edmonton blue-line this off-season, Schultz could quite easily be bypassed in favour of a Darnell Nurse or Griffin Reinhart if his 2015-16 season begins on the wrong foot. The Oilers certainly have high hopes for Schultz in 2015-16, however, with an increasingly crowded blue-line in Edmonton, Schultz’s time with the Oilers could be short lived if he fails to take the next step as separate himself as an elite NHL defender this season.